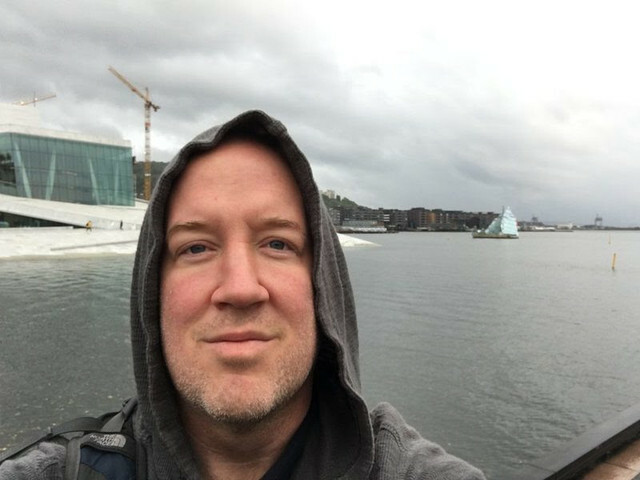 October 8, 2017, 11:05 AM · Sitting in a cafe in Oslo during this 23-day tour of Europe, it hit me. I’m thinking about the balance between artistic goals and life goals, and how that balance is dependent on the need to pay rent. About things that change in us, and things that remain; priorities that do or don't shift as we grow. And how the things we want and enjoy sometimes cause us to suffer at least a little bit. Here's something that changed for me: At 25, I was preoccupied with making a career as an artist. At 45, being present for my family is way more important to me than being a successful musician. Here's something that's stayed the same: I still want to be a better musician, and I still want to travel the world sharing music. I'm practically obsessive about it, touring year-round via cars, trains, planes, buses, taxis, boats, bikes, whatever... Sleeping everywhere from 4-star hotels to couches and even in my car. It's crazy how transient, exciting, weird, scary, lonely, fulfilling, and miserable being on the road actually is. I love the road and I suffer on the road. I love/hate being out here, flying trapped in my traveling body. My family knows this. They understand it better than me. They miss me, but they appreciate that it's part of who I am, part of how I support them, and part of what makes us connect deeply when we're together. People ask me: "Do you like traveling so much?" and "Is it hard to travel so much?" The answer to both is yes. If I could go back to being 25 again, I would know that there is no "perfect" musical career in the future. Every career lifestyle has ups and downs, and part of enjoying it is accepting that the suffering, the missteps, and the messy trade-offs are all a part of it, no matter how successful you are. In a recent podcast from my brother's wildly popular "School of Greatness", his guest was talking about a 100-day tour. Lewis asked him, "Isn't that hard?" The guest gave the answer I was looking for, and I'm paraphrasing here: "It's incredibly awesome, and incredibly hard. Often things that are incredibly awesome are incredibly hard." When we envision a future destination, we should bear in mind that this destination is not necessarily what it appears to be. It could be messy! And we should always be mindful of how our priorities may have changed by the time we reach that destination. I worked for a year to set up this European tour, and a year before that on the last one. During my trip this time, I questioned whether it was worth it. During the writing of this email in Oslo I was having misgivings. Now, at the end of the tour, I've decided it is worth it. I'm already setting up returns to Europe. It's still what I want- for now. So.. How about you? I hope you can reflect on the trade offs your choices entail, and embrace them as part of your own pursuit of balance. 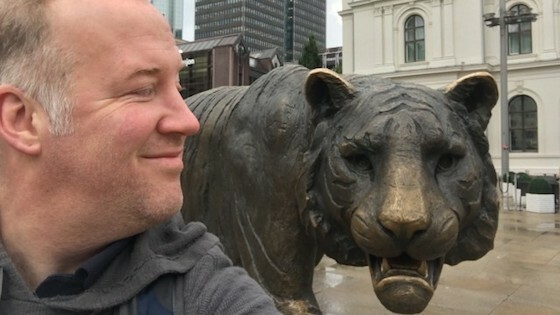 With the Tiger in Oslo.